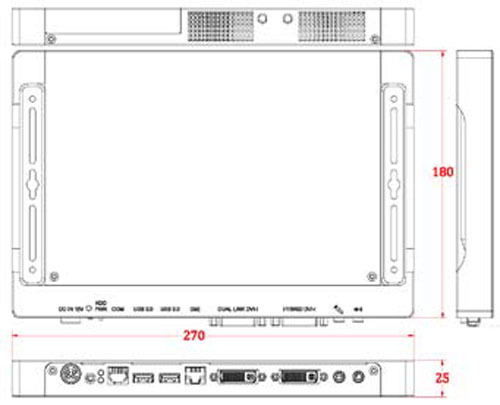 Ultra slim 270x 180 x 25 mm chassis. The SI-38 Signage Solution System - an ultra slim embedded system tailored for Digital Signage Applications. The SI-38 combines the graphics performance of a discrete AMD Radeon R-Series Fusion IGX GPU. 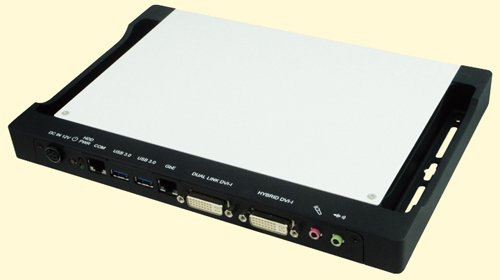 The SI-38 digital signage system has won the 2012 Computex Design and Innovation Awards. The SI-38 in particular has been honored with the special "COMPUTEX Gold Award" along with four other winners. The Taiwan External Trade Development Council (TAITRA) in cooperation with International Forum Design (iF) - the world's leading industrial design institution - is honoring 44 entries out of this year¡¦s 205 from 7 countries with this Design and Innovation Awards. The top five amongst the 44 were awarded the "Gold Award".